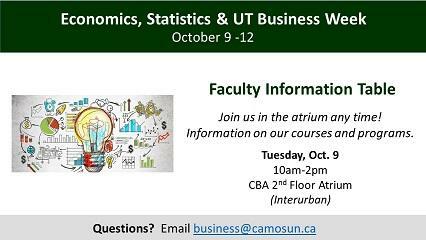 Want to learn more about Economics, Statistics and UT Business? Join us for Economics, Statistics, and UT Business week! Our knowledgeable faculty would be happy to share information about our courses and programs with you. Pop by one of our faculty information tables.